An image has been inserted via the Classic Editor. The image is floated right. The image does not have a caption. This is some text that the image will float around. The <p> inherits our max-width styles, and prevents the image from extending beyond the content column. 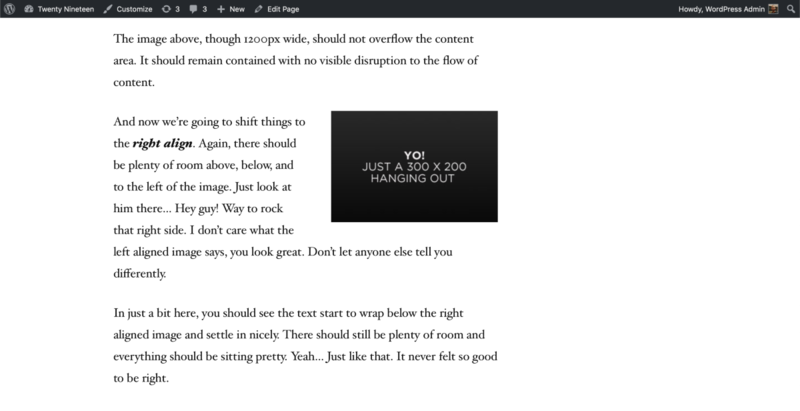 In order to have the image extend beyond the paragraph's width, we'd need to pull it out via negative margins or relative positioning of some sort. The markup would be very different from the markup we're currently using for all other cases though — I'm not personally sure it's worth sorting out for this single use case, but leaving the issue here in case anyone comes across a simple solution.